Update: 10/18/2009 HW Japan also has it up for pre-order, here and here. And its cheaper too at only 15040 yen. 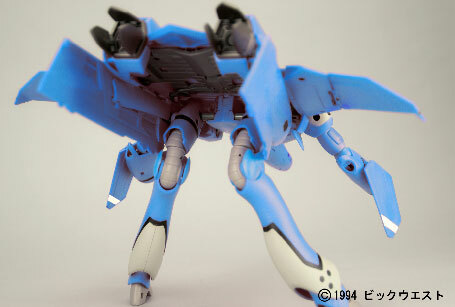 Update: 10/14/2009 Hobby Search has these two up for pre-order already here and here and its going for Y17,860. 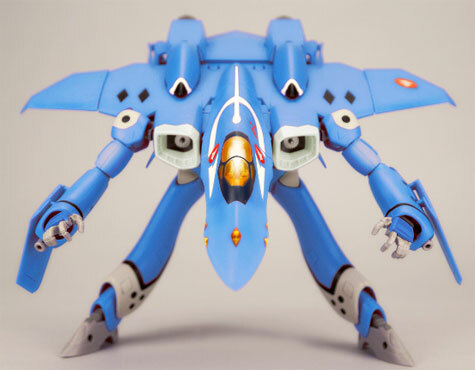 Yamato toys just posted on their site pictures and product page of the VF-22S of Maximilian Jenius and Milia Jenius from the Macross 7 series. 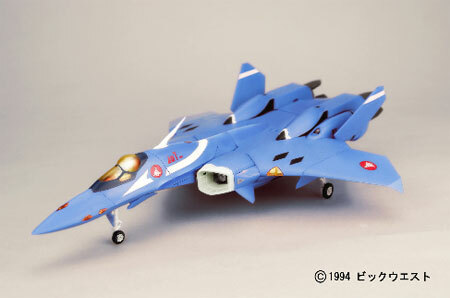 Guess this means that Yamato Toys finally obtained the Macross 7 license to produce toys based on that series. 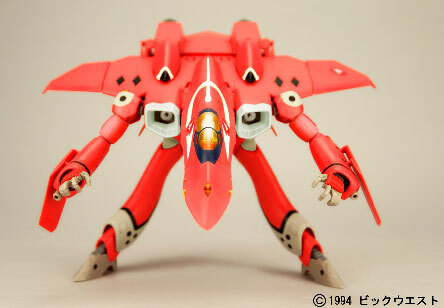 Earlier this year, Yamato Toys released a 1/60 scale version of Gamlin Kizaki's VF-22S seen in the Macross 7: Dynamite OVA. 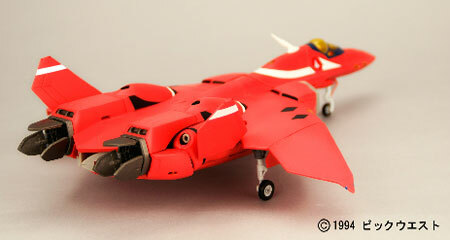 With a license to develop Macross 7 (M7) merchandise, Yamato Toys can hopefully develop other fan favorite ships. 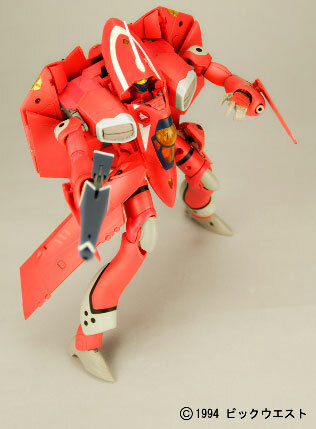 First thing that pops into my mind are the Gamlin Kizaki VF-17, Basara Nekki's VF-19, Mylene Jenius VF-11, Ray Lovelock and Veffidas VF-17, Docker's VF-19 and of course an armored VF-11B. 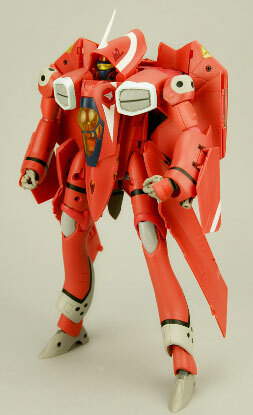 The VF-22S was based on the cancelled YF-21 of Project Nova. 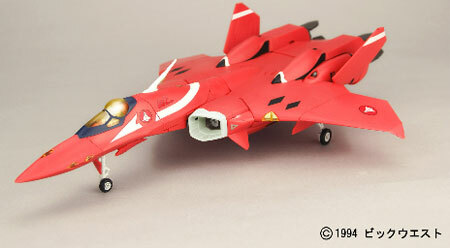 The YF-21 was flown by Guld Goa Bowman in Macross Plus. The difference between this and the VF-22S is that it just has normal controls over the YF-21's man-machine cerebral interface system that allows the pilot to fly the plane through brain thoughts alone. According to Yamato's post, the VF-22S differs from the YF-21 by means of the different head shape, having a large canopy, newer molding and having different thigh panels. 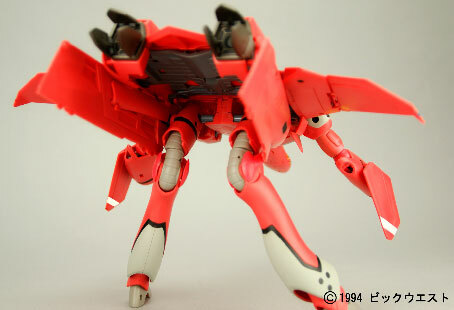 In fighter mode the toy will be about 34 cm in length. 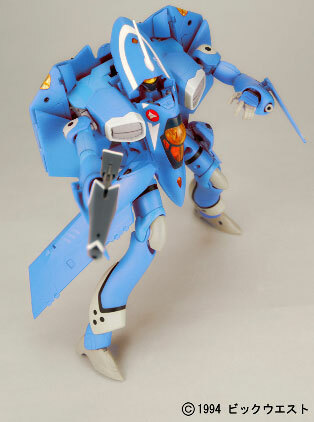 The VF-22S will come with 2 Gun pods, 2 stand attachments, Maximillian Jenius Figure, Fold Booster attachment, stickers and manual. 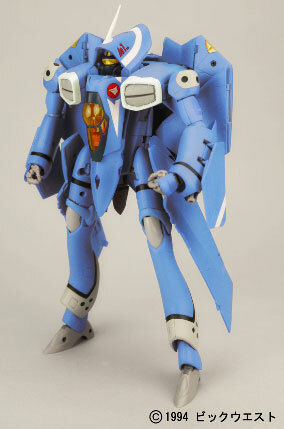 Milia's VF-22S will be release on November 2009, while Max's will be release on December 2009. Each will cost 19,740 yen. 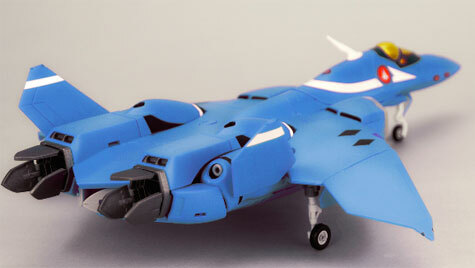 In line with the Macross 7 franchise, Yamato Toys also released the grey colored VF-22s of Gamlin Kizaki.